Bill Elliott grabbed the attention of the NASCAR world on Saturday. His upcoming XFINITY Series start at Road America will mark his first major NASCAR race in six years. By Sunday evening, Chase Elliott had stolen his father’s thunder. In his 99th start in the Monster Energy NASCAR Cup Series, the younger Elliott held off a hard-charging Martin Truex Jr. and claimed his first career victory. Elliott has endured a series of close calls in his MENCS career. Before taking the checkered flag at Watkins Glen International, Elliott had claimed 27 top fives, including eight second-place finishes. It is not unprecedented to see developing drivers post strong results but struggle to reach Victory Lane. Kyle Larson, for instance, also needed exactly 99 races to win his first Cup Series race. Even Bill Elliott, who went on to have a legendary career in NASCAR, won his first race in his 92nd attempt. It often looked like Chase Elliott had the skills to win a Cup Series race. All he needed to do was get the timing right, which proved to be a real challenge. Just about every circumstance imaginable has taken Elliott out of contention for the win: late race cautions while leading, poor restarts, pit road mistakes, getting passed by veterans with faster cars, not to mention getting spun out of the lead. 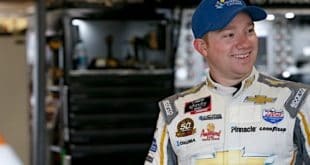 As the experiences of his father and Larson demonstrate, Elliott is far from the first driver to go through Cup Series growing pains. Yet it was worth wondering if Elliott, when presented with the right opportunity, could turn the tables on his competitors and take advantage of their mistakes and misfortunes. 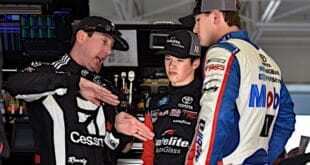 Sunday’s race at Watkins Glen offered that opportunity. Elliott and Kyle Busch were in their own zip code for most of the race, but the final pit stops of the day put the race in Elliott’s hands. Busch’s team struggled to get the No. 18 full of fuel, prompting Busch to make a second stop and restart the race from deep in the field. Fellow contender Denny Hamlin had a rough pit stop too, one which ended with an injured crew member and a broken air hose. That left Truex as Elliott’s toughest competition when the race resumed. Lap after lap, Truex tailed Elliott. It was not just any competitor in the No. 9’s rear view mirror. 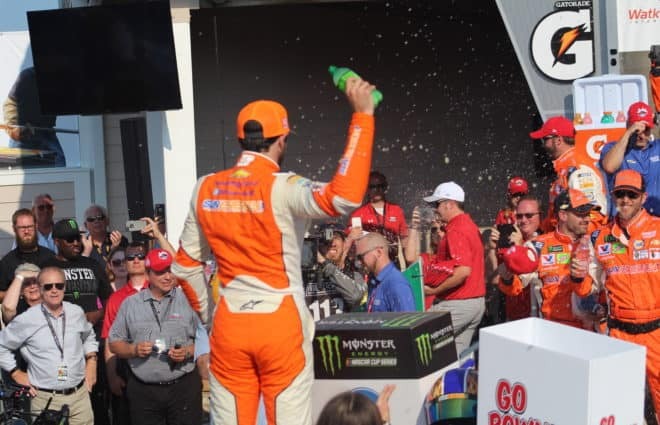 Truex was the defending race winner, the defending champion, one of NASCAR’s best road course racers, and one of the so-called Big Three drivers who have done most of the winning in 2018. Elliott benefited by not having to contend with Busch, but the closing laps were still a big test to see if he could successfully close out the race. This time, he would not be denied. It was not a perfect run – Elliott almost lost the lead after taking Turn 1 too wide on the last lap. However, he had forced Truex to slip in the Bus Stop on the previous lap, which gave Elliott just enough room to stay in front of the No. 78. More importantly, Truex ran out of fuel exiting the Carousel, allowing Elliott to drive away to victory. Ultimately, Elliott won with a combination of skill and luck, the same combination that other drivers had used to beat him before. Now, Elliott and the No. 9 team can turn their attention to the playoffs. Sunday’s win brings Elliott’s playoff point total up to eight, five for the victory and one each for his three stage wins. The good news for Elliott is that he currently holds the fifth most playoff points among all drivers. 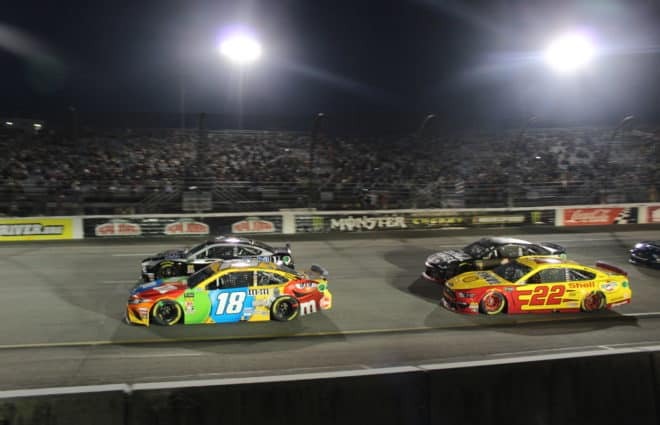 The bad news is that drivers like Busch, Kevin Harvick, and Truex have gapped the field with playoff point totals of 35, 33 and 27, respectively. 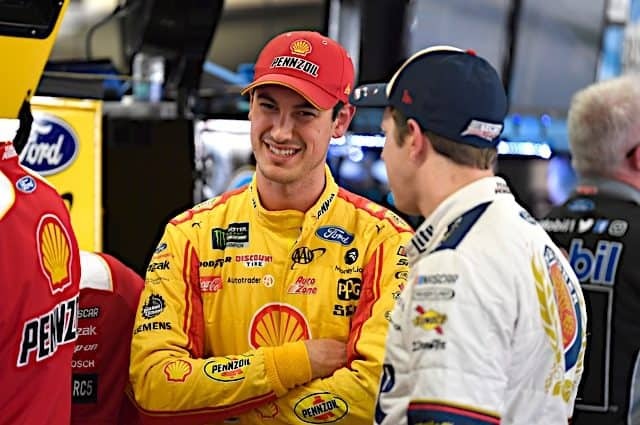 Also working against Elliott are the extra playoff points Busch, Harvick, and Truex will earn for their positions in the season-long points standings. 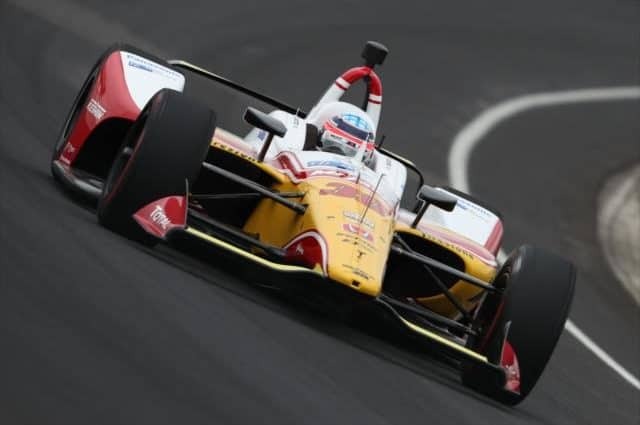 The overall points leader after next month’s race at Indianapolis Motor Speedway earns an extra 15 playoff points. Second place in the points standings gets 10 playoff points, and third place gets eight. 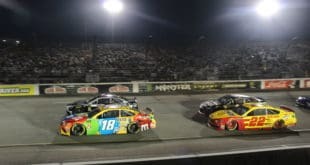 If Busch maintains his points lead through Indianapolis, he will enter the postseason with at least 50 playoff points. Elliott, meanwhile, finds himself 11th in overall points. To earn extra playoff points of his own, he would need to break into the top 10 in the next four races. Ryan Blaney, Hamlin, and Larson are all within striking distance. But even if Elliott advanced to eighth in overall points, he would only earn three extra playoff points. An up and down season for the No. 9 team, and a dismal year overall for Hendrick Motorsports, means that Elliott cannot seriously challenge Busch, Harvick and Truex until the postseason begins. Even then, he will be behind the curve in terms of points and needing to win races in order to advance through the playoffs. One year ago, Elliott was in a similar position. He went into the postseason with six playoff points as a fringe championship contender, but he and his team stepped up their level of performance as the season wound down. Despite lagging behind Truex, Busch, and Larson, he reeled off four top fives in the first six playoff races. 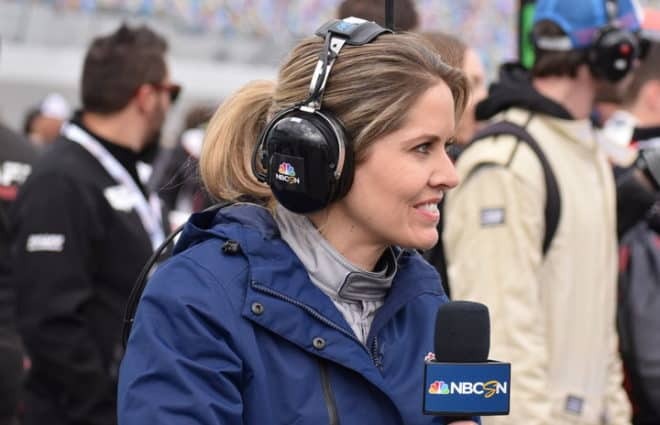 After his run in with Hamlin at Martinsville Speedway, Elliott found himself leading late at the one-mile oval in Phoenix, on the verge of advancing to the final round. But Elliott was unable to hold off Matt Kenseth, and his championship hopes for 2017 ended. If Elliott and the No. 9 team can raise their level of performance in a similar manner for this year’s playoffs, 2018 could be different. 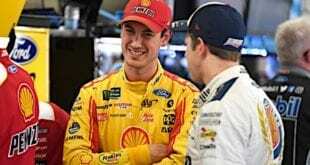 Sunday’s win at Watkins Glen should guard against any doubts Elliott or his team still hold about their ability to close out races in tough circumstances. It is too late to make up a lot of playoff points on the top contenders, but Elliott’s long-awaited first victory may have come at just the right time. The experience of winning a MENCS race will be the most valuable weapon that Elliott takes with him into the postseason title fight. Tags Chase Elliott Denny Hamlin Kevin Harvick Kyle Busch Kyle Larson Martin Truex Jr.
Not a particular fan of the young man, but, congratulations are due. Nice job kid. What an amazing coincidence that is was announced OLD BILL was going to run a road course race in Xfinity. Clyde Jr. without an obvious pit penalty, no penalty was called, wins his first race, a road course!!!!!!!!!!!! I tell yah….it is a miracle!!!!!!! Oh good freaking grief. LOL. Brian arranged it before he left for the bar. Hendrick’s check is in the mail. Toys is angry.